Candie Octopus Baby is sugar-sweet, with wonderfully curly, springy arms. 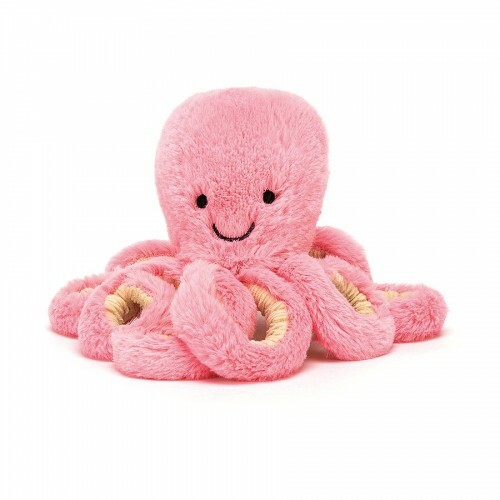 Squishy, soft and stylish, this little sea friend has a soft pink head and cordy beigey under-tentacles! Octopuses are super-smart, and Candie can help you count up to eight!